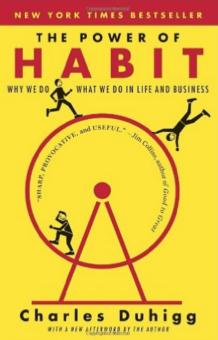 I recently read “The Power of Habit,” by Charles Duhigg. Besides being full of fascinating insight about the habits of our brains, our corporations, and our society, it also gave me some key realizations about what some of my personal habits are, and how to truly change some of them. I hadn’t thought much about it until I read this book, but a while ago, I stopped impulsively spending money because we made a goal to pay off our student loan debt as fast as possible. 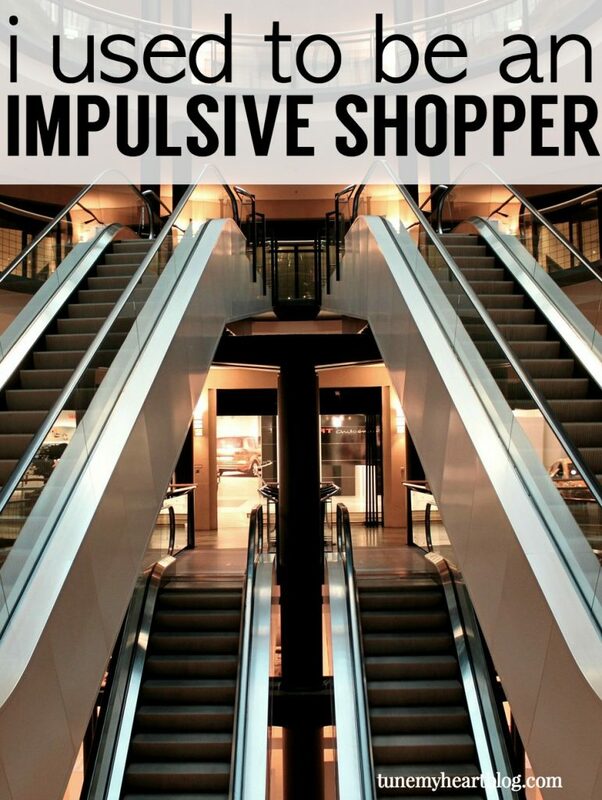 In fact, before reading this book, I wouldn’t have really identified myself as a former impulsive shopper. And I definitely didn’t realize what had happened to allow me to change my habits. But while reading, I had an “ah-ha” and realized why it was that I was able to stop impulsive spending. 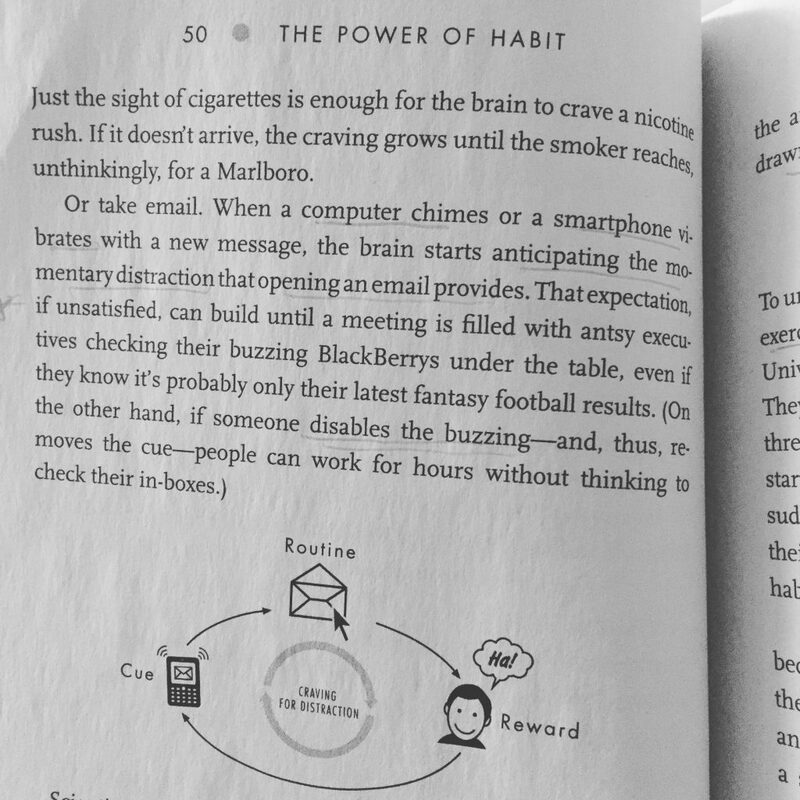 Early on in the book, Duhigg describes the role of cravings, cues, routines, and rewards in habit formation. He says that habits form because our brains have cravings which cue routines. The routine produces a reward which satisfies the original craving, and ingrains the cycle to become a habit over time. Read the paragraph above the diagram in the picture for a good explanation. Summary: You crave distraction. Your phone vibrates (cue). Your routine is to click the notification. The reward is momentary distraction and having some sort of new information. Or take smoking for example. You crave stimulation and/or stress relief. The cue is a headache. The routine is a cigarette. The reward is physical relief from headache/ stress. So now let’s talk about how to stop impulsive spending. First, think about the craving and cues behind impulsively spending money. You crave a momentary happiness from buying something new. The cue may be seeing an item in the store, or an amazon ad. The routine is buying it. The reward is momentary excitement over your new find or deal or outfit or whatever! I first kinda sorta noticed that I was an impulsive shopper when we started got gung-ho about paying off our student loan debt as fast as possible. I hadn’t read the Habit Book yet, though, so I didn’t know what was going on. I’ll first tell you what happened, and then explain how the Habit Book made sense of it all, and how you can stop impulsive spending habits too! For a long time, I didn’t think of myself as an impulsive shopper. I didn’t have a credit card and I bought stuff on sale. I even found great deals all the time at the Target dollar spot. 😉 But here’s the thing. If I’m honest, on some level, buying a little something made me feel temporarily happy. So I would randomly buy stuff to feel happy. When we cut our budget way down and started paying off student loan debt, I kinda vaguely realized I couldn’t be trusted to go to Target without spending money on random crap. And we didn’t have a random crap budget anymore. We’d decided to actually stick to our budget in all the categories. So, I stopped going to Target. And, guess what? I stopped spending money on random crap there. It wasn’t just Target. Since we didn’t have “random crap” in the budget anymore, I basically stopped going to fun stores all together. Any time something came to mind that I wanted or needed, I would just write it down in my notes app in my phone. No shopping list created, no trip to the store planned, just a notes app. I didn’t realize it at the time, but I had started to change my habit cycle. I walked past (not through) the dollar spot – success. But a cute clearanced out home decor item caught my eye. Without thinking much about it, I snapped a picture and sent it to my friend, “isn’t this cute! ?” Then I went to get my diapers and planner. I left without buying anything extra. When I got in the car, I felt a sense of willpower and accomplishment. I let myself go back next time it was the quickest option for a birthday gift, and again, snapped a picture of a couple cute things I saw, but didn’t buy anything extra. Taking a picture kind of accidentally became my new habit. It’s almost like digital window shopping. In The Power of Habit, Duhigg explains that for whatever habit you are trying to change, you have to identify your cue and routine and experiment with a new routine that will satisfy the same craving. 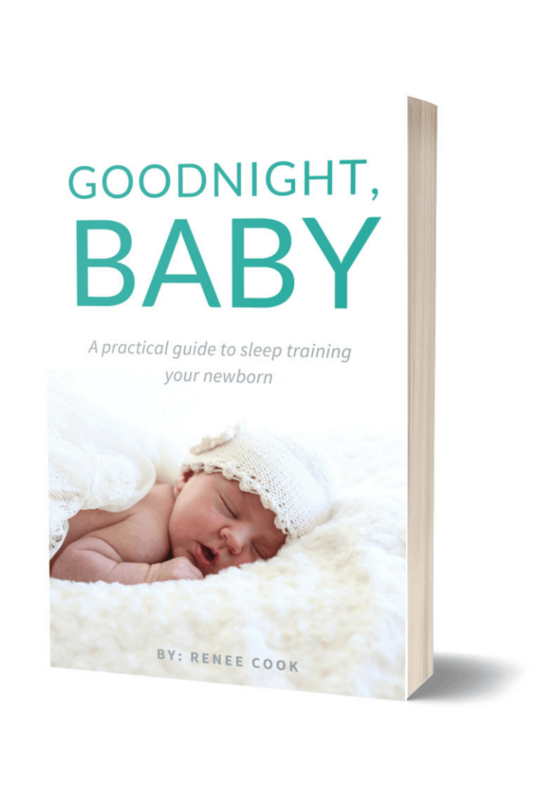 Without realizing it, I’d changed my routine and cue. At first, I’d eliminated it all together. The cue was seeing something in the store that I liked; the routine was buying it. I stopped going to fun stores, so I stopped the cue all-together, and eliminated the reward of temporary happiness from buying new crap. When I started going to fun stores again, the craving for buying was much smaller, and, like I said, I kind of accidentally formed a new habit of taking pictures of cute stuff but not buying it. After reading the Habit Book, I realized why it actually worked – why I was able to stop impulsive spending. Did you notice the reward was different? Duhigg says that eventually, your cravings and rewards will change if you first change your routine responses to your old cravings. Eventually, my new craving became sticking to my budget. And I’m not just saying that! Truly, internally, my brain started to feel happiness about sticking to a budget. The reward was feeling a sense of self-control and control over my money, rather than randomly buying crap all the time as if my money had a mind of its own. 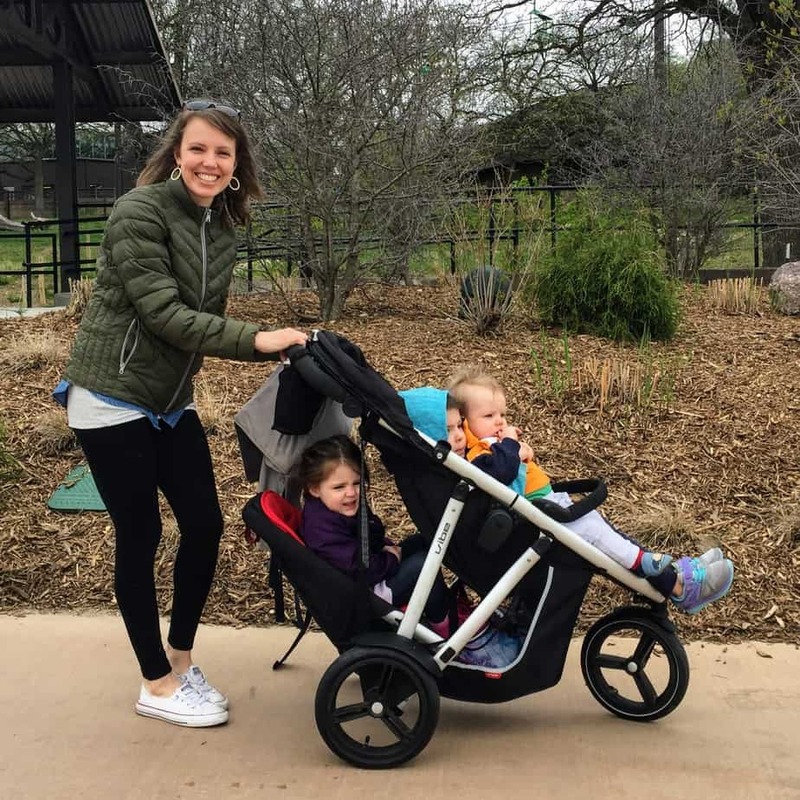 Once I changed my routines – either not going to stores all together, or taking pictures of cute stuff – my brain rewired itself to crave the satisfaction of NOT overspending instead of craving the momentary happiness that comes from buying something new. And I just wonder if there are people reading this who have the same problem. You want to stick to your budget, but it’s just hard not to buy stuff. Can I suggest – get a new routine. When you see something you want, do something besides buy it. Take a picture; text a friend “I saw this but I refuse to buy it;” throw it in the trash at the store (jk, don’t do that); whatever! Do this for a few months and see if your cravings change. I’d bet money that if you stick to your new routine, your cravings will change. You’ll be able to stop impulsive spending. And eventually, you’ll crave the feeling of satisfaction that comes from having true control over your money.